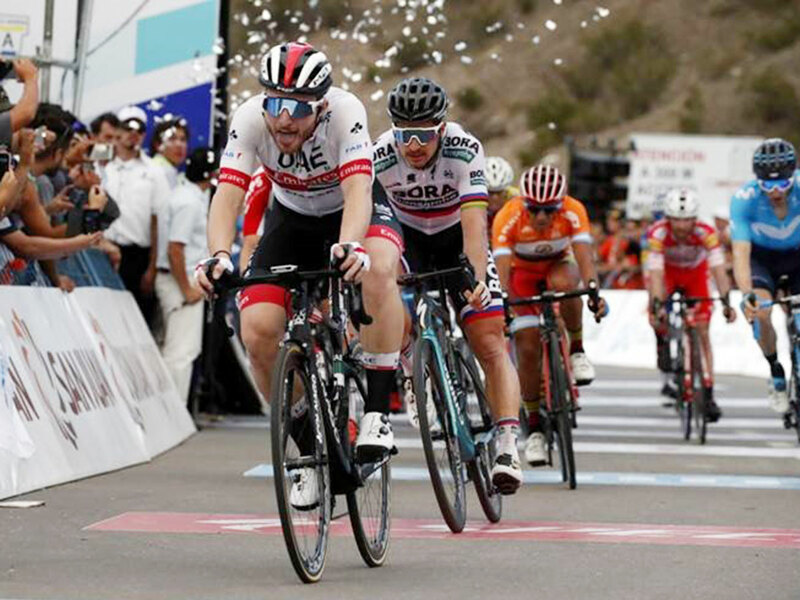 Dubai: Simone Consonni of UAE Team Emirates was rewarded with a podium place when he finished second behind Stage II winner Julian Alaphilippe (Deceuninck-Quick Step) at the Vuelta a San Juan on Monday. During Stage 2, the peloton was tasked with climbing up and over the Punta Negra three times and on the final 2.5km descent, Alaphilippe was able to escape the pack. Consonni, who had withstood a series of attacks on the climbs, fought off the challenging fast men to take second place ahead of three-time World Road Race Champion Peter Sagan (Bora-Hansgrohe). Gaviria held his ground and maintained his lead in the General Classification. He now has three seconds on Alaphilippe and seven on Consonni. Valerio Conti sits 13 seconds behind in 10th helping UAE Team Emirates lead the teams classification as well.